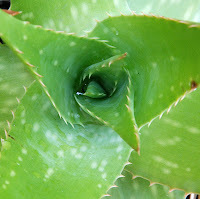 Aloe Vera is a plant that should be found in every garden. Even those that fear they can't grow anything can succeed with this hardy succulent. Given a free draining position in ground or a pot by the back door, it will take care of itself. Most of us will be familiar with the soothing gel of the plant available in tubes from pharmacies and supermarkets, as a great sunburn reliever. Alternatively, the leaves can be harvested fresh from the plant for use directly on the skin. 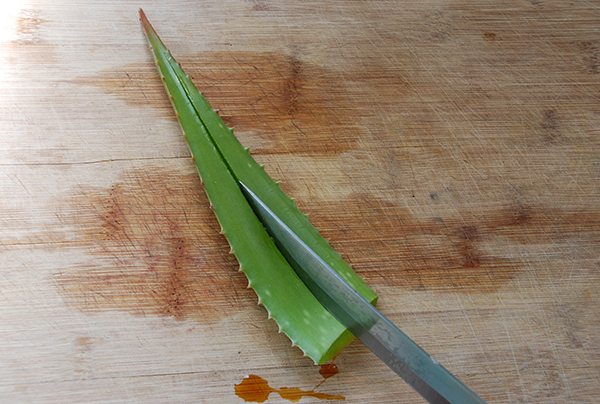 Simply cut a small piece of leaf, peal back the skin using a knife, and rub onto the affected area. A leaf can be cut, left to dry for an hour on a hot day, and then popped into your beach bag, ready for use should you get a little too much sun on the sand. 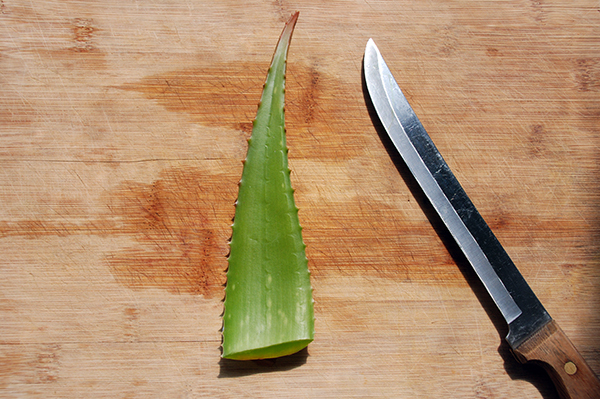 The benefits of aloe vera go far beyond sunburn relief. It is a valuable ingredient in skin and hair care products for it's moisturising, antiseptic and anti-inflammatory properties. With a few simple steps it can be processed making it ready to add to your own home made ointments, meaning you can enjoy all the benefits of this versatile plant. 1. 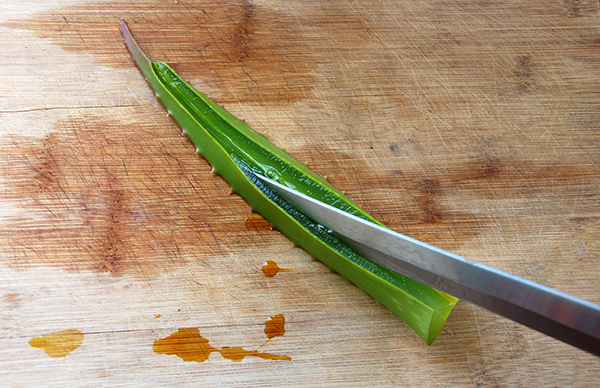 Cut a fresh green aloe vera leaf with a knife close to the base of the leaf. 2. Using a sharp knife with a pointed tip, cut down the center of the leaf, only penetrating half way through the depth of the leaf. 3. Avoiding the prickly edges, pinch the leaf, pulling back the edges so that it is folded in half. 4. 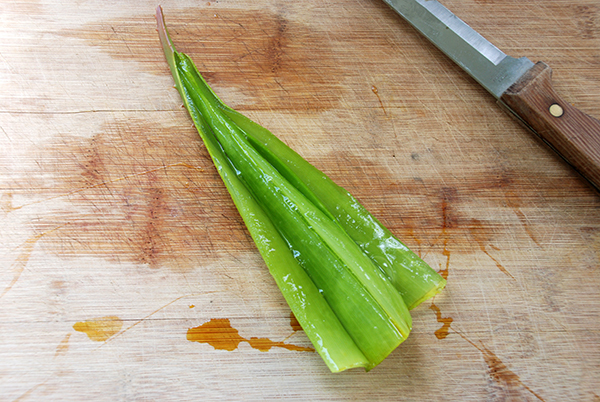 Use the sharp tip of the knife to cut down the center of the gel on each side of the leaf. 5. 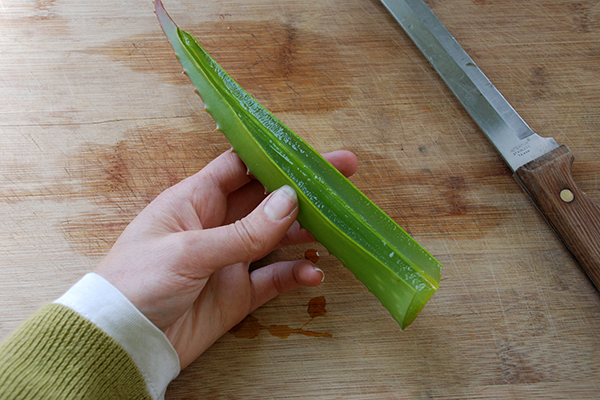 Unfold the aloe to reveal four inner sides to the leaf. 6. 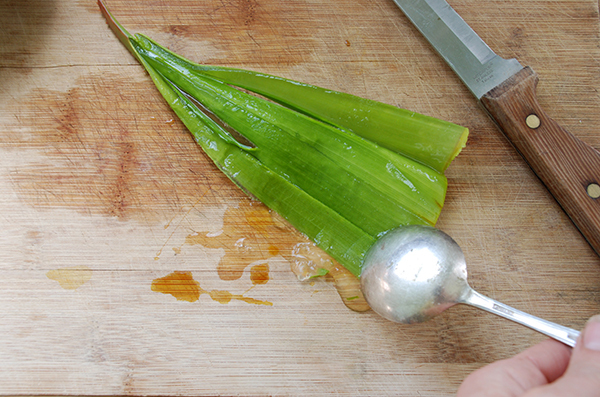 Using a rounded soup spoon, pressing firmly and evenly, scrape the spoon down each gelled side of the leaf to remove the gel. The trick with this is to not press too hard so as to avoid the layer of yellow sap that separates the gel from the skin. The sap can be irritating to sensitive skin. 7. The unprocessed gel. You'll notice that some of the yellow sap has mixed with the gel, which isn't a problem unless you show sensitivities to it. 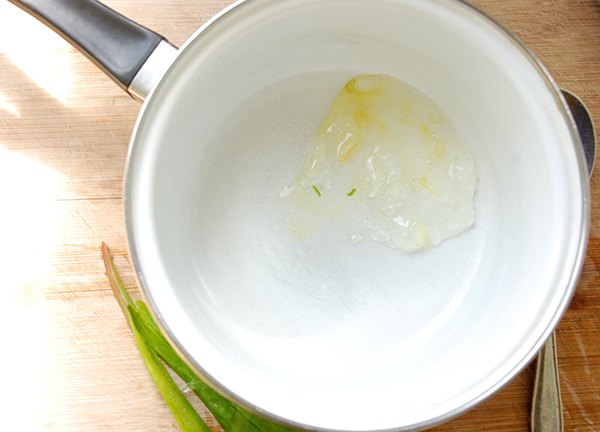 At this stage the gel can be pressed through a wire sieve to remove any remaining skin. 8. 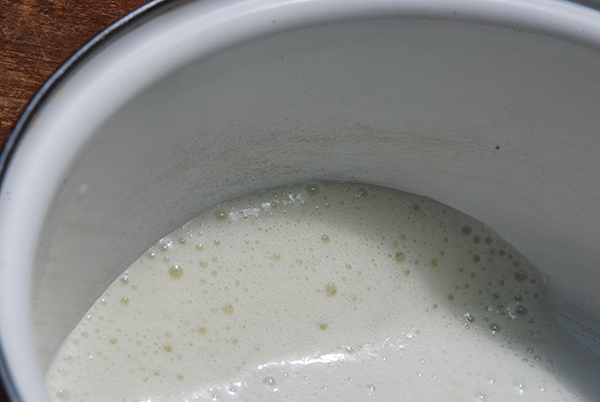 Using a blender, whiz the gel until white and frothy to remove hard lumps. It should now be an even consistency. Bottle into sterilised bottles and keep in the fridge ready to add to your favorite skin and hair care recipes.